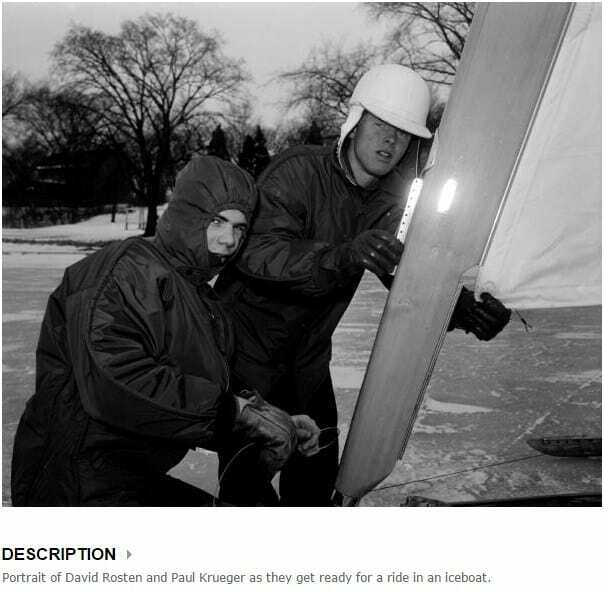 This photo of Paul Krueger and Dave Rosten was published in the Wisconsin State Journal on December 30, 1956 when these two were still in school at East High in Madison. Paul Krueger has been sailing Class A Skeeters longer than anybody and has defined this club. Please keep him in your thoughts as he continues in his recovery from a health issue.